Looking for more information on one of our puppies? Give us a call at 352-220-0351, or contact us via email by using the form. 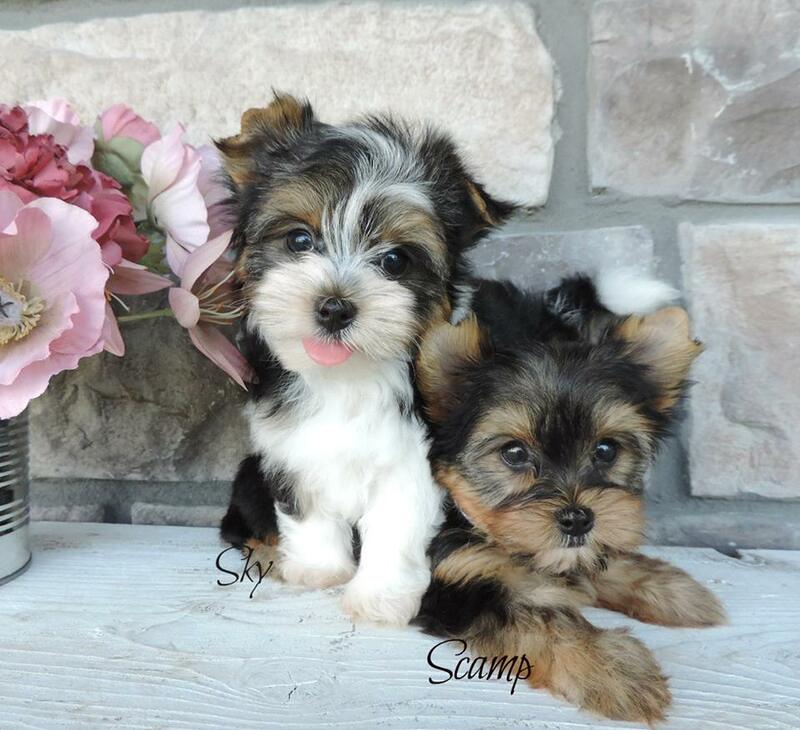 Welcome to Contented Puppies Paradise - The home of the happiest, most handsome and playful yorkie, morkie, and maltese puppies for sale anywhere! 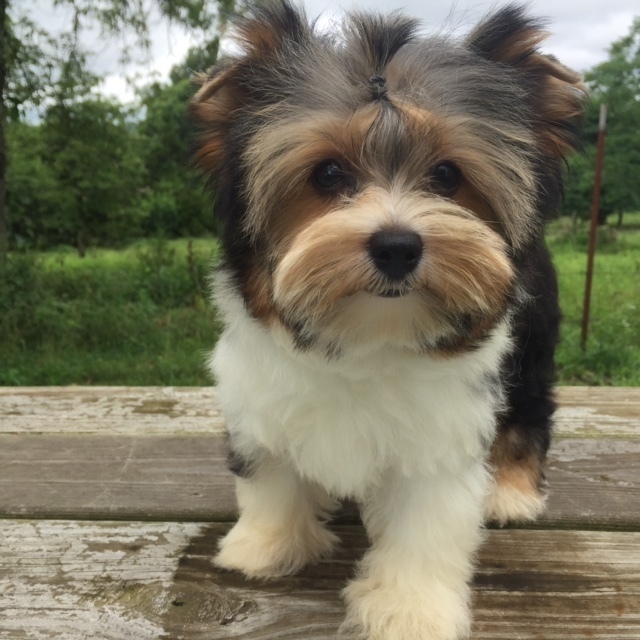 Our family is committed to supplying beautiful, healthy Yorkie and Maltese puppies to be enjoyed by everyone in your family for years to come. Unlike many of the pet stores you may have visited already, we are concerned that our puppies are placed in the best of homes, and that they receive quality care after leaving our home. So, if you're looking for that perfect companion to be a part of your life, look no further. We invite you to explore our web site and when you find the puppy you wish to welcome into your home, we will be delighted to assist you. We are especially fond of the Yorkie and Maltese breeds, and are dedicated to bringing nothing but the finest to your life and home. Contented Puppies Paradise is a fully-licensed, family operated breeder of happy, healthy puppies in the heart of the Missouri Ozarks. We have been breeding puppies since 2005 and invite you to check out our Facebook page and join in the conversation! Contact us if you have any questions, or feel free to call us Monday thru Saturday, from 9am to 10pm EST, at 352-220-0351. Hablamos Español! God bless you, and have a wonderful day ! 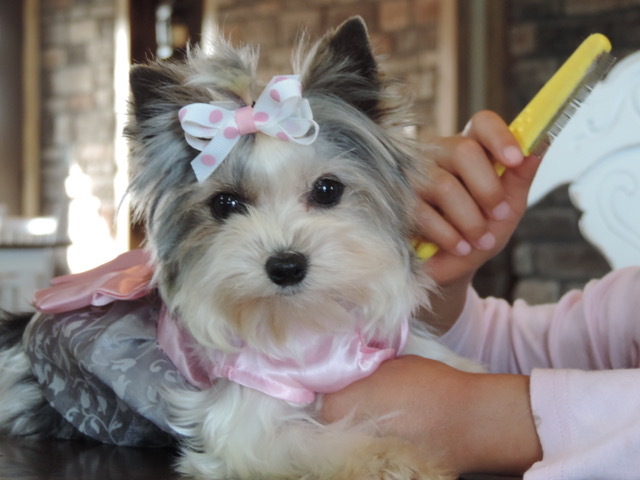 We have such a wonderful time raising these precious dogs, that we thought we'd share some of our experiences and insights with you, as well as publicly answer some commonly-asked questions about Yorkie, Morkie, and Maltese puppies and dogs! If you have a question you would like us to address, please feel free to give us a call at 352-220-0351, or drop us a line using the form up above! 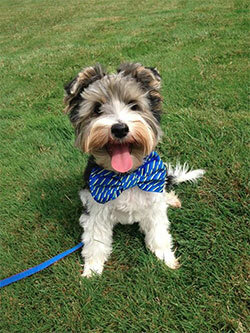 If there’s one thing that’s certain about Morkies, it’s that they’re really stinking cute. 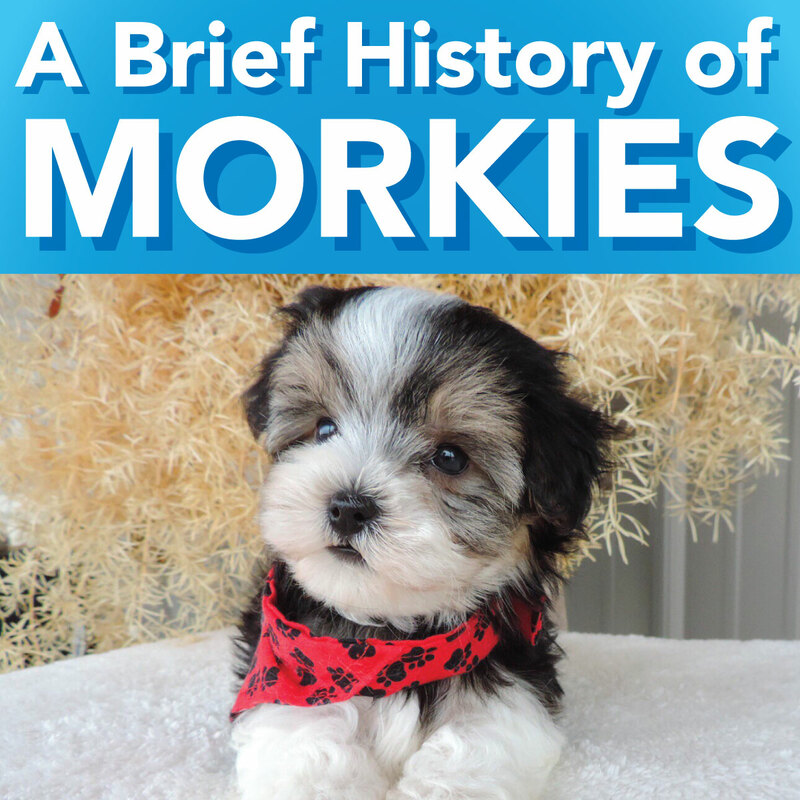 Did you know some of these other interesting Morkie Facts? When picking a dog breed, it’s not as simple as what breed you want. But perhaps more important than it being the best dog for you, is whether or not your surroundings are good for your dog. We explored this topic a little bit in this post. 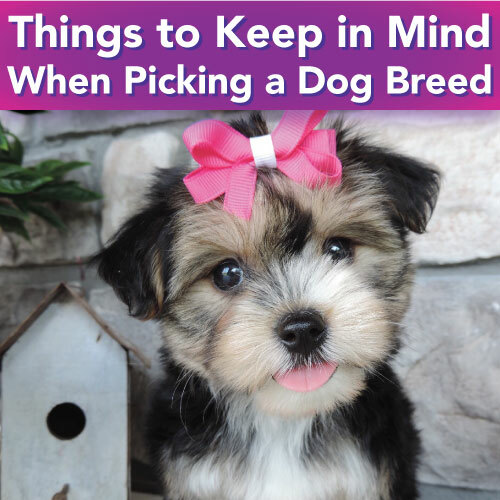 There are a lot of misconceptions about buying a puppy from a breeder. Call us biased, but many of them are totally untrue. 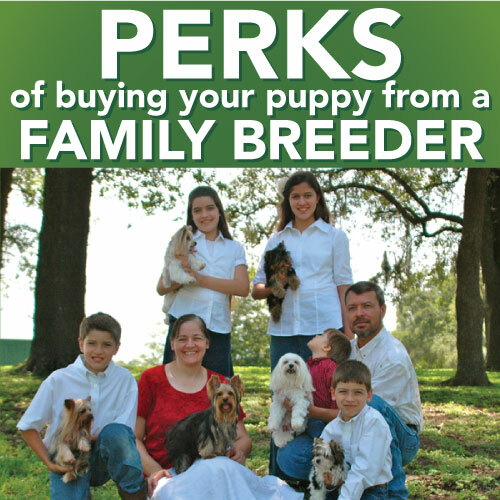 In all reality, working with a family breeder is the best decision you can make for your future four-legged friend. Looking for a Local Breeder? For the past 11 years Contented Puppies Paradise was located on a small farm approximately five miles outside the town of Dade City, Florida. 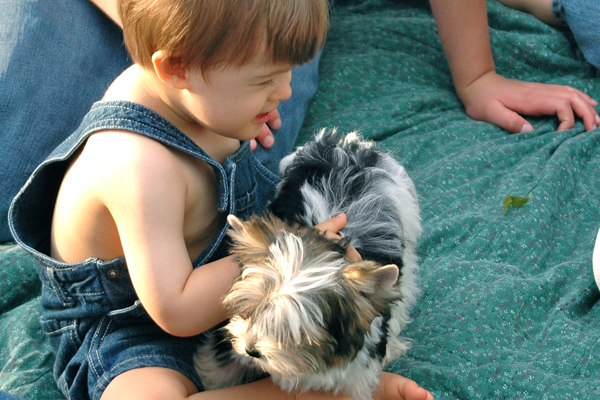 We were blessed to offer our children the wholesome experience of growing up on a farm surrounded by beautiful puppies. While we enjoy raising puppies very much - our hearts are also drawn to helping families in Honduras who are experiencing extreme poverty, in particular; widows and orphans. We are the founders of House of Hope, a ministry dedicated to providing homes for those in desperate need. As House of Hope grew it became clear that we would no longer be able to raise puppies full time. As a result, we have moved all our puppies to El Dorado Springs, Missouri. Nestled in the heart of the Ozarks, our puppies are now cared for by my sister Jan and her family, along with our parents. You can be assured they will continue to provide the same outstanding service our customers are accustomed to receiving. We are still the sole owners of Contented Puppies Paradise and will continue to be directly involved with daily day to day operations. Our parents have 11 years experience caring for puppies and provide invaluable experience, advice, and hands on care for our little ones. Our adult dogs are kept in impeccable health. We retain the services of veterinarians who routinely check our dogs and vaccinate them to ensure they are in the best possible health. Our puppies are handled, played with and socialized every day. They are confident and expect nothing but love and kindness. Therefore we are committed to placing them in loving homes where they will be given only the best which they are so deserving of. We believe the puppies born and raised here at Contented Puppies Paradise are some of the most beautiful puppies in the world. 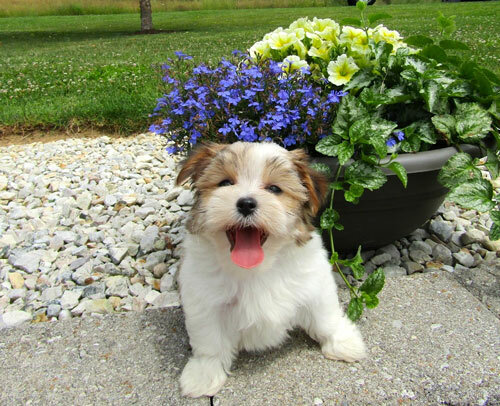 Feel free to browse our “Sold Puppies” pages to see some of the outstanding puppies we have had in the past. We are licensed by the State of Missouri and as such are routinely inspected. We deworm our puppies according to the guidelines established by the Missouri Department of Agriculture. Each puppy is sold with all shots up to date and has been examined by their vet and will have a Missouri health certificate. While some of our dogs may be suitable for shows, our primary goal is to provide them for companion purposes. While we do occasionally have what is known as "teacup puppies" we do not promote this kind of breeding. For information on why we are not interested in promoting this please see the above link titled "Teacup Puppies." We invite you to visit our homes, meet our extended family and enjoy some coffee. It would give us great pleasure to show you our puppies and perhaps you would find your own paradise come true by making one of them a part of your life. We thank you for visiting our site. We are closed on Sundays as that is a day we reserve for family time and worship. 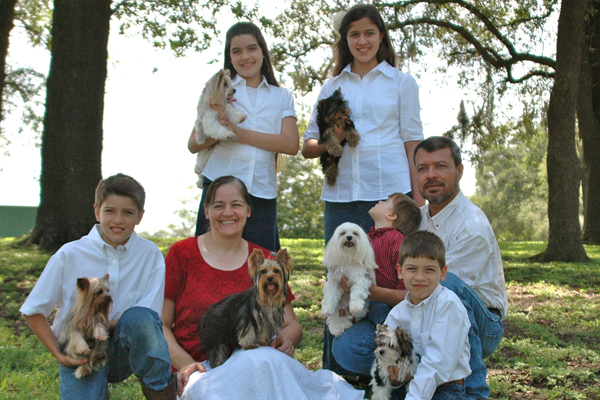 "We purchased a Morkie, Reggie, right before Christmas. He is the most lovable little dog. He has won the hearts of so many people. I'm so thankful that I came across Contented Puppies when searching for our puppy. We have certainly lost our heart to him." This puppy has been vet checked, and by all appearances is in perfect health. He / She has had a series of puppy shots and has been wormed several times. This puppy is guaranteed for its first full year of life against life-threatening, congenital anomalies, for example: liver stent, hip dysplasia, or a defective heart. If this puppy develops such a congenital anomaly within the first year of life, I will replace the puppy with a male / female of equal value. I will not be responsible for medical treatment to cure such anomalies. The vet who diagnosed such an anomaly will be required to write a description of the case on a formal business letterhead, and be available and willing to discuss the issue with my vet. However, if you should decide to keep the said puppy, a partial refund of the original price may be made after I have reviewed the case. In the event of death the puppy must be autopsied by a certified vet, with tissue samples, etc. being sent to a laboratory for analysis stating the cause of death. This certifies that the new owner has been warned about the possibility of hypoglycemia, (low blood sugar). Death or injury caused by hypoglycemia shall be the sole responsibility of the new owner. Injuries that occur after the ownership is transferred are the sole responsibility of the new owner. For example, if the puppy is hit, dropped, kicked, stepped or sat on, mauled by another animal, any of which may result in physical problems such as seizures, injured joints and/or death. Here at Contented Puppies, we are committed to raising the finest, healthiest puppies possible and therefore feed Life's Abundance Dog Food. It is all natural, organic, human grade food and has no fillers or by-products and best of all, Life's Abundance has never had to issue a recall.We highly recommend this food and because of all the recalls by many of the large dog food companies the last few years,we do require that you feed Life's Abundance to your puppy for its first year of life for our Health Guarantee to be valid. 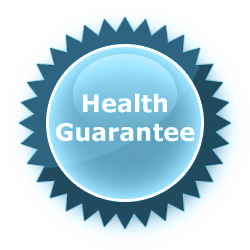 This guarantee is extended to the original owner only and is non-transferable in the event you resell your puppy. Please give me the opportunity to repurchase your puppy if you are no longer able to own them. Many people come across our website when looking for local breeders, and it’s easy to understand why. 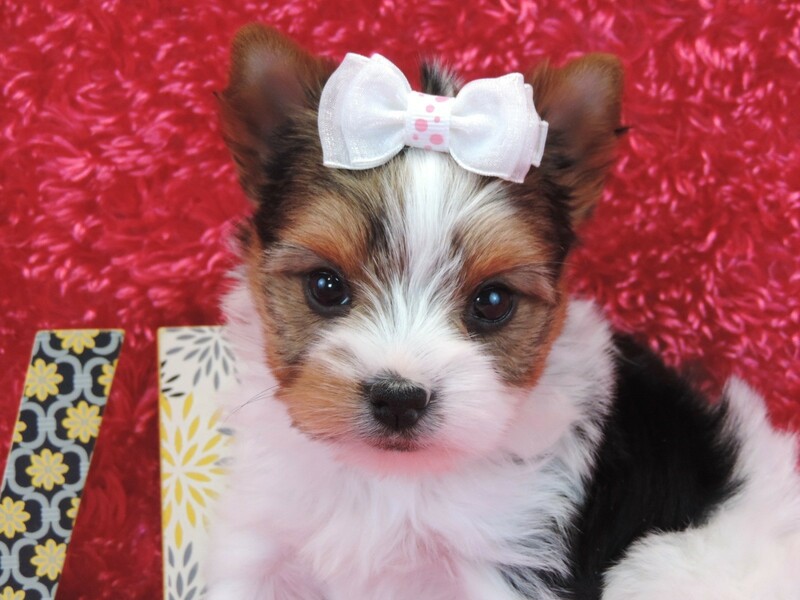 A puppy is a major purchase, and a yorkie or morkie pup can be tricky to take care of in the beginning. You want to know that you haven’t given your money to someone who is going to simply vanish when you need them most. There are also concerns of how you would actually get your new puppy from a breeder who is potentially hundreds or thousands of miles away. We understand these concerns. One look at our Facebook page will give you a peek into the Contented Puppies family. We’re never more than a click or phone call away, and we care that our puppies are well taken care of after they leave our home and go to yours. Our goal isn’t to just sell you a puppy, it’s to bring you the best experience possible, and we are here to work with you every step of the way.We are proud of our record with customers, and the rate at which they return to us for their second, third, or even FOURTH puppies is a testament to that. If you look more closely at our Facebook page, you will see many contented owners who are planning another purchase, or who just hang around to give advice and ask questions. 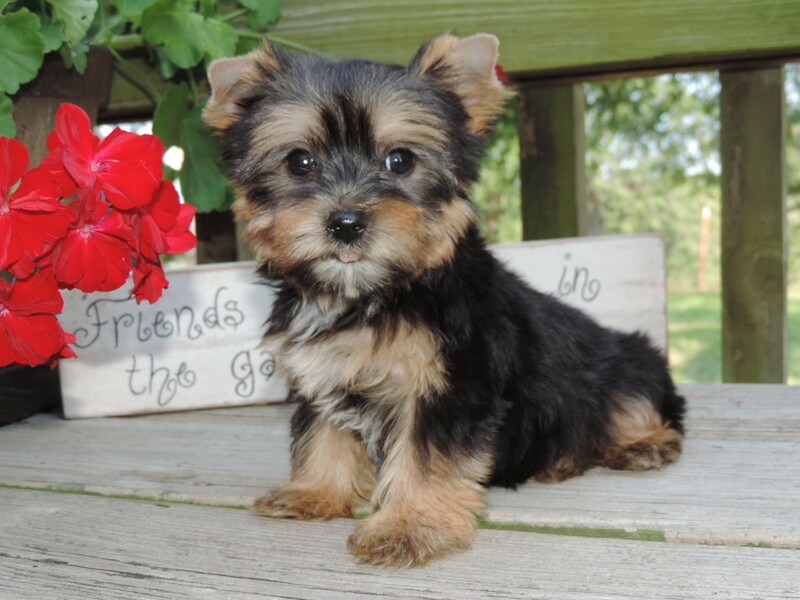 When you buy a Contented Puppy, you are getting much more than a furry companion… You are joining a group of yorkie and morkie parents all across the country. So, while we may not be right down the road from you, we are absolutely always available, willing, and able to make sure both you and your puppy have many fun-filled days together! If you live far from our home, you may be wondering how you would obtain your little bundle of fur after making a purchase. We have handled deliveries for families living in all four corners of the USA, and go to great pains to ensure the comfort of your new puppy, and the ease with which you can pick them up.While the best way to get your puppy is to take a trip to our home and pick them up in your own arms, here is how the process works when we have a customer who can’t make the trip to us. 1. You pick the perfect puppy for your family by looking through as many photos and videos as you can handle, and of course by speaking with us on the phone! 2. Once you have made your selection, and we are sure it’s a good match, you go ahead and put a deposit on the puppy. 4. You sign the contract, agreeing to the terms and conditions, and send it back to us. 5. We contact the United Airlines Pet Safe Program to make flight arrangements. 6. Their very capable staff ensures your puppy arrives safe and sound to the airport nearest you! So what are you waiting for? Pick out your puppy today! Renny Shane Trevor is the smallest Yorkshire Terrier we own. He ended up topping out at 2.5 lbs. He is the sweetest little boy ever and is always waiting for a belly rub. He has the most adorable baby face and a super short little legs. Some of his offspring are the most adorable puppies we have ever raised. Here at Contented Puppies, we are proud of this outstanding guy. Kaine of Majestic Charm is so beautiful, folks have asked to see him in person as they did not believe such a beautiful dog existed in real life! We got him as a puppy from another breeder and we are over the moon about this little guy. He has 7 champions in a 3 generation pedigree. He is a Biewer Yorkie and weighs 4 lbs. 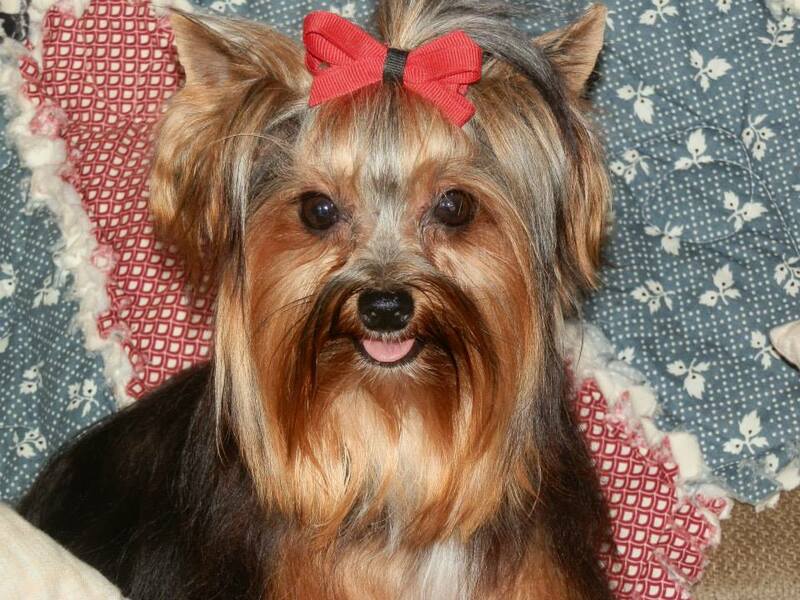 Buyers should beware that there is no such dog as "teacup" or "pocket" Yorkie. These are simply terms that certain breeders may use to increase interest in their dogs, and sometimes the price. 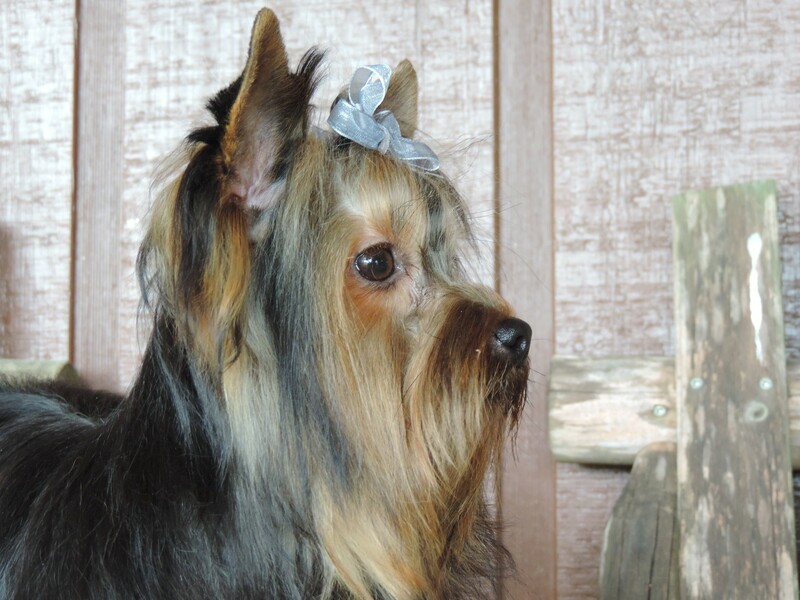 Some Yorkie and Maltese puppies are smaller than others, but the preferred standard weight recommended by the AKC is between four and five pounds. The following quote was made by Daryl Martin, a breeder of Maltese puppies in Highland Park, Illinois. "There is no such thing as a teacup Maltese, the whole teacup phenomenon is a horrible thing because the breed is already small. And the tiny ones tend to have many health problems, from water in the brain to liver shunts, (abnormal veins that result in failure of the liver to metabolize toxins and brain inflammation.)" Ingela Gram a breeder and AKC licensed judge of West Redding, Connecticut is quoted as saying, "You will pay a lot of veterinarian bills," and she further adds that the so called "Teacup Maltese" often have the Chihuaha-esque, apple domed skull and open fontanel, a skull shape that isn't conformationally correct for the Maltese. "They usually are not healthy and have many problems." "When you get a dog down to two pounds, nothing develops like it should. The heart is small, the liver is small. Do you want to end up going to the vet all the time?" Ingela further adds that, "You wouldn't see a so-called "Teacup Maltese" in the show ring, because this super-small-sized Maltese weighing below the preferred minimum of four pounds is often associated with incorrect conformation, such as a skull that is too apple-domed." A Maltese may occasionally be born small, but a tiny size is no advantage, agrees Vicki Fierheller, a Maltese breeder in Canada. Despite the health problems and other issues, some unethical breeders try to profit from the tiny dogs cuteness and rarity. Some unscrupulous breeders purposely breed for the teacup size because then can sell them for much more money, but many times the wee ones have serious health problems. Here at Contented Puppies Paradise we may occasionally have a smaller Maltese or Yorkie. But we do not breed purposely for the teacup size and would highly recommend you consult with your veterinarian before purchasing any teacup puppy. I know from experience that it is easy to put instructions away with the best of intentions of reading them later. However, following some of these guidelines may make the difference between life and death for your puppy. So please take the time to carefully read all the following instructions. 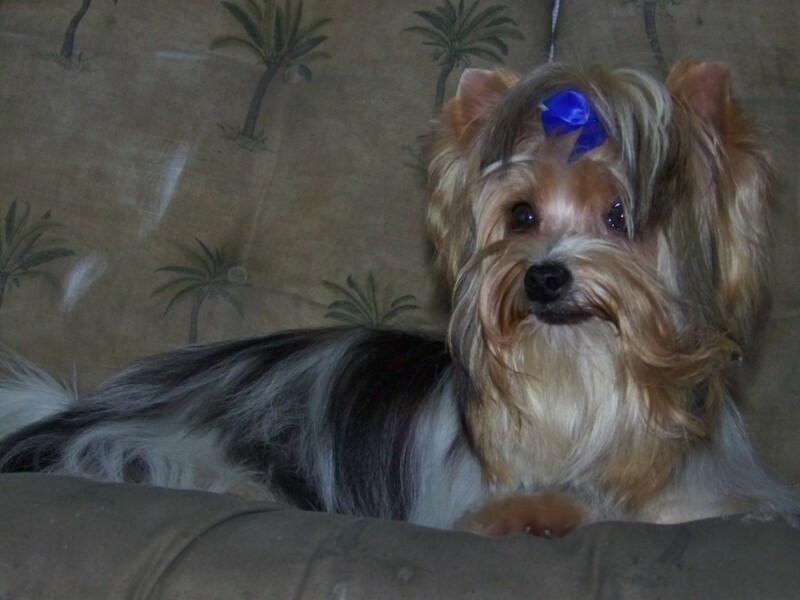 Before you read any farther, make sure you realize that a Yorkie is a high maintenance dog! They require a lot of time, attention, and human interaction! Even my biggest pups are small. The Tinies require extra attention and a close eye on them. I don't recommend that you purchase a Yorkie, especially a tiny, if you are away from your home a lot, have small children, or if you don't plan on making it part of your family. I beg you to do some research on the breed. This is just a condensed guide, not an entire manual. They choke, they choke, they choke! When giving your puppy food, snacks, or maybe even a forbidden tidbit from the table, always remember how small their throats are. Unlike most dogs, they can get the smallest things caught in their throats. Cut up everything you give them into very small pieces! Be especially careful when they are puppies and continue using caution throughout their lifetime. Not only are their throats small, adding to the problem is the fact that the smaller dogs also have trouble chewing something big. We use and highly recommend Life's Abundance Dog Food. We have tried some of the highly recommended dog foods like Royal Canin and have had our disappointments. Some times it was old and moldy right off the shelf. Also they have had recalls which makes us very uneasy about these large companies. After lots and lots of research, we are thrilled with Life's Abundance.Their food is no older than 4-6 weeks when you purchase it and the results in your pets are amazing. ALL that goes in the dog food is human grade and fresh. Because we are very concerned that our puppies receive only the very best out there, we will guarantee your puppy to be sound and healthy for the first year when you feed Life's Abundance to your little one. You can purchase this online at www.LifesAbundance.com or you can call us at 352-220-0351. We will be more than happy to help you get the right amount of food ordered for your little one. They will drop it right at your door. Make sure food is available to them at all times. They will eat small amounts throughout the day and night. We also recommend a halter leash instead of a collar due to their small trachea. Yorkies have low blood sugar until they are about 12 weeks old and longer if they are tiny. Make sure they eat well before they play. If they seem sluggish, shake, act drunk, or even vomit, give them a dime-sized dose of Nutri-Cal or raw honey on their tongue and call me. If they seem to be playing really hard, it will not hurt them to give them a dose. However an overdose is possible so do not exceed a maximum of two doses in one day. Call me immediately if your puppy refuses to eat. (Especially the day your receive your puppy.) Low blood sugar can be deadly if not corrected! Be alert and aware of where you walk or sit at all times. You will soon learn to scoot your feet when you walk, and always watch where you step. They will run under your feet until they figure out it might be a dangerous practice. The other thing I noticed with all my dogs is they will jump on the couch or chair and look up at me lovingly. When I move them over so I can sit next to them and as I turn to sit, they jump under me and may end up getting sat on. The best thing to do is hold them as you are in the process of sitting down until they learn to get out of the way. Remember to use extra caution whenever you sit and never leave a puppy alone with children. Many Yorkies, (even 12 Lb. ones), have been known to meet their demise by outside dangers. Some of their common enemies are larger dogs, hawks, owls and coyotes. These have been known to carry them off. Therefore it is vital that you use extreme caution when your dog is outside. Also keep in mind that they can fall prey to human abduction. It has been reported that one new owner had her puppy stolen while paying for gas! Be on your guard at all times and take the proper precaution to keep your little one from such an undesirable fate. 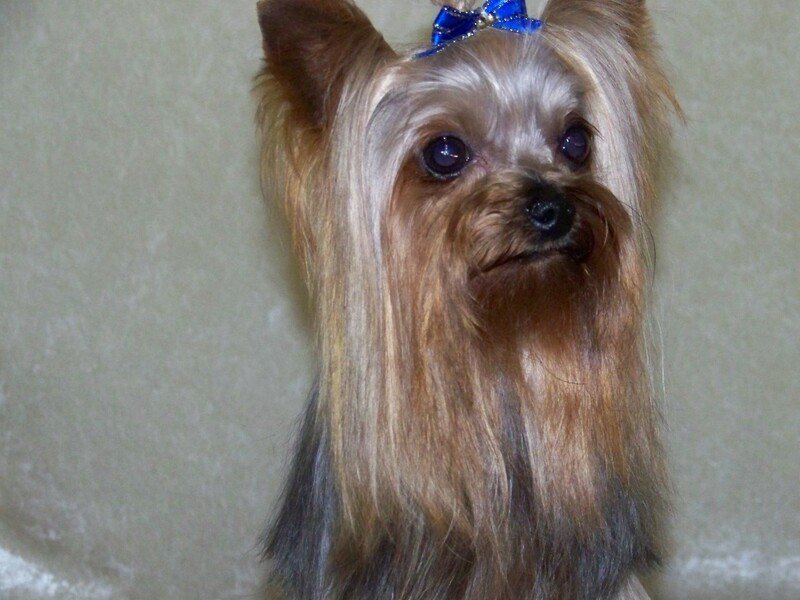 Yorkies are capable of possessing that gorgeous, long hair look. It does take a lot of work to keep them beautiful. Even if you decide to keep their coats long, you need to make sure you keep their buttocks clipped short. The hair tends to get in the way when they go potty, and a build-up may prevent them from being able to go potty. If the problem is not corrected immediately this can become serious. Even as your little one matures into an adult you need to make sure the buttock area is not becoming matted. When your puppy is 6-8 months old you need to start checking them to make sure no adult teeth are growing beside a baby puppy tooth. It is very common for them to have difficulty losing their puppy teeth. A trip to the vet is warranted for some tooth pulling. Females should be spayed before they are 9 months old, males neutered as young as your vet recommends. If this is not done they will mark territories when older. Your puppy's ears will go up and down as they go through the teething process. But their ears should be up after they are a few months old. If they fold down in half some taping may become necessary. Yorkies are very sensitive to your moods! They just melt if they think you are angry with them. If you are angry be sure to let them know that you still love them even if they did do something naughty. Never hit or kick them. A firm "No" is usually sufficient. They will run to you if they are in trouble just to get some reassurance that you will help them. Chaos in the house will make them shiver with fear, a trip to the vet and any other unfamiliar circumstance will have the same effect. So be sure to let them know everything is fine when they are afraid. And remember, they will always need lots of love and attention. Yorkies are known to be very active. This is especially noticeable up to about 10 months of age. They are very athletic and love to run. They settle down to be quite the lap dog as adults. Yorkies also like to chew. I buy toddler teething toys, (without water), for them to chew even as adults. The size is perfect and they love that rattle sound most of them have. A word of caution, keep all paper out of reach. Puppies are by far the worst, but even adults love to chew that magazine or phone book. You are free to contact me at any time in the event that you have questions or concerns you feel I may be able to resolve. 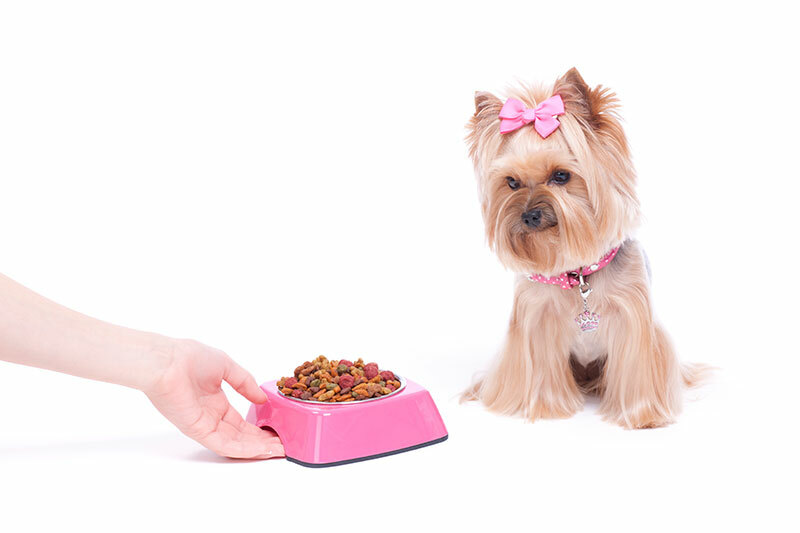 What Kind of Dog Food Should You Feed Your Yorkie, Morkie, or Maltese Puppy? Here, at Contented Puppies, we are committed to obtaining optimal health both in our puppies and our adult dogs. Over the years, we have been disappointed in some of the most highly recommended dog foods on the market today. We have done a tremendous amount of research and have been appalled at the poor quality in most dog foods currently on the market. There are ingredients in these dog foods that you would never knowingly feed your beloved pet. There have been many recalls on dog food that vets and AKC still highly recommend. We are simply not willing to risk the life or health of our beautiful dogs and puppies by feeding contaminated dog food. Life's Abundance has never had a single recall, and they have been in business for a decade. We are so excited to find a company that actually exceeds what we hoped to find. Life's Abundance is formulated by a holistic veterinarian who works on the cutting edge of science and uses all natural, holistic, human grade ingredients to formulate a perfectly balanced food for our pets. Life's Abundance dog food is never found on the shelves of pet stores, as they guarantee the food to be fresh, never more than 4-6 weeks from the time it is manufactured to the moment it is dropped at your door. Did you know that most dog food sits on the shelf, or in the warehouse, for up to two years before you purchase it for your dog? Please check out their website at www.LifesAbundance.com and do your own research. You may be shocked to find out the truth about some major dog food chains on the market today. We also really like their shampoo and training treats. All their products are great, but we use mostly these three. 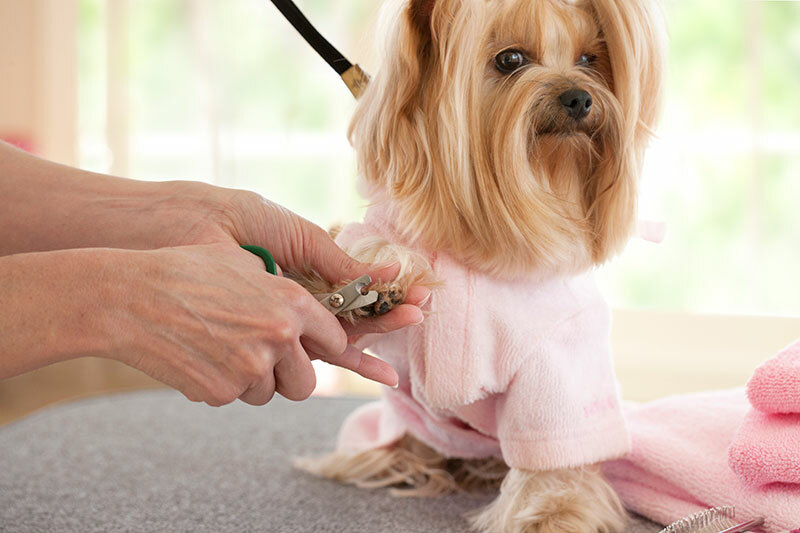 Small dogs like Yorkshire Terriers and Maltese need a very mild shampoo that will not dry out their coat. Life's Abundance shampoo has a very pleasing scent, and it stays on for days. The treats are wholesome and very nutritious as well. While providing the very best treats and training treats on the market, as well as other pet care products, tasty rewards are incredible for training as they are made from free range chicken, venison, and pumpkinseed for the brain! No contaminations! Lastly, you may be wondering, "Can I afford this for my beloved dog?" My question is, "Can I afford not to feed the very best to my dog?" With the cost of a visit to the vet at an all time high, you can be sure that you will save when you invest in great food for your dog. We have been feeding Life's Abundance to our dogs for almost a year now, and have been amazed at the performance of our moms and dads. Most of all in the health of our puppies. Yorkie puppies are very tiny when they are born and need lots of tender care, but we are amazed at the stamina and vigor of our babies from the moment they are born, which we never had before. If you are a breeder, or are considering the idea, good nutrition is a must! If you try this food, we guarantee you will never go back to the commercial dog food again. We estimate it costs $10 a month to feed a small dog, which includes the shipping. When you order, be sure to go on their autoship program to get an even better deal. Also, order everything you will need for two months, and this will save on your shipping. An 8 lb bag is plenty to feed a small Yorkie or Maltese for two months. You can change your shipping times to a time that is convenient for you by calling their office. Many people call me and want to know why there is only one dog food and why there is no puppy food. Life's Abundace makes one wholesome, nutrition packed food for dogs of all ages, so if you have an older dog at home, they can all eat the same food. To order food, go to www.LifesAbundance.com. It is easy and secure, and you should have your order in 2-3 business days! Thank you for visiting www.ContentedPuppies.com! All images and content property of Contented Puppies Paradise.